Allegorithmic has updated Substance Sources, its online repository of parametric materials, to include 50 new assets inspired by the look of 3D fabrication. The new materials are divided into 10 3d printing techniques including ferro-fluids, continuous liquid interface production, direct metal deposition, direct metal laser sintering, electron beam melting, fused deposition modelling, multijet, powder binding, selective laser sintering, and stereolithography. 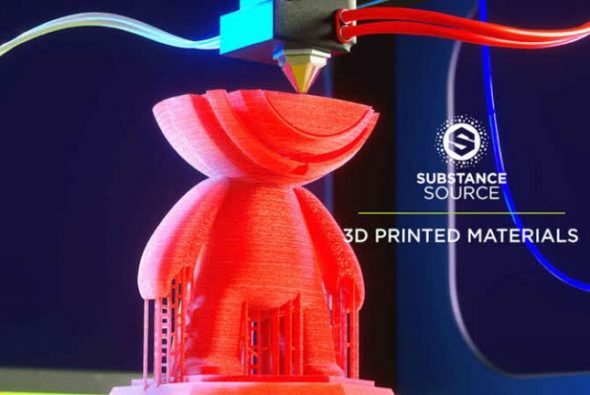 It is expected this will help manufacturers to visualise their 3D prints prior to production as well as offering artists some unusual materials that are hard to find elsewhere. Read more about this release onAllegorithmic’s blog.